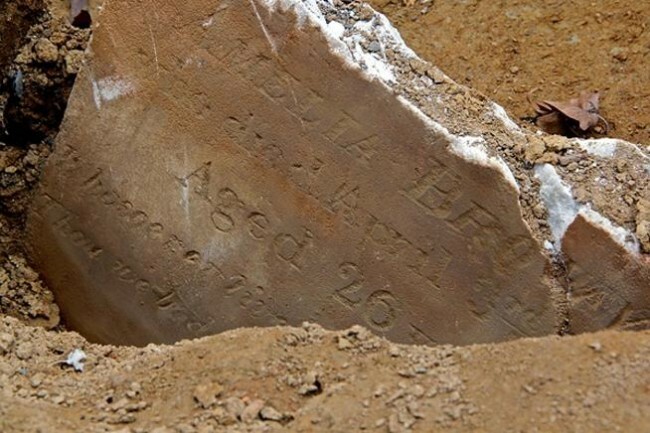 Eight-month-old Charlotte Stewart died this date, February 4th, in 1853 and was buried at Bethel Burying Ground. Eight-month-old Charlotte Stewart died this date, February 4th, in 1853 of Aptha and was buried at Bethel Burying Ground. The child’s death certificate was missing its top edge due to water damage which dissolved the paper. However, the weekly summary of burials by the Bethel Church Sexton, which is also damaged, appears to have “Charlotte” (underlined in red) as the child’s first name. The baby’s parents were Ellen (35 y/o) and Sidney (45 y/o) Stewart. The family owned a home on Harmony Street (now Fitzwater) a block from Bethel Burying Ground. Mr. Stewart was a steward on a passenger steamboat sailing on the Delaware River for which he earned $300 a year. I was unable to locate an out of the home occupation for Ms. Stewart. However, she was the mother of five other children beside Charlotte, according to the 1847 Philadelphia African American Census. We do know that one of the children was “Isabella,” age four years old at the time of her sister’s death. Little Charlotte’s official cause of death is only a symptom of a more serious condition. Apatha or Apathae are ulcers usually found in the mouth which are not fatal. The term can also mean, in rare situations, ulcers of the colon and in the 19th Century always led to death. This is most likely the reason for the baby’s death. Tragically, Sidney Stewart died six months later from lung disease and was buried next to his baby daughter at Bethel Burying Ground. Fourteen years later, the family would lose Isabella who was eighteen years of age, due to a bacterial infection she developed after giving birth to a child. She was buried at Lebanon Cemetery. ← Twenty-seven-year-old Vincent Durham died this date, January 29th, in 1841 and was buried at Bethel Burying Ground.